Agency life is a little chaotic sometimes (okay, more like most of the time). Multiple client projects are moving at different speeds and just like that, a deadline for next week gets moved up to tomorrow. We’re tasked with learning the ins and outs of the food industry, hardware and everything else in between. “How do you keep it all straight?” you ask. The answer is simple: excellent time management. Basically, the old saying “work smarter, not harder,” is key. I know we’ve all heard it so many times, but how exactly do you work smarter? The solution isn’t so easy. From years of adapting to the hustle and bustle of working in an agency, here’s Array’s best practices for time management that will help your business increase productivity. The first step in time management is understanding what should be on your own plate and how to utilize your team members. You have a team for a reason, allow them to help you with tasks that they’re better suited for. Play to their strengths and delegate accordingly. Once you figure out what you need to do individually, it’s easier prioritizing across that list. Multiple projects can become overwhelming, clear communication and collaboration will help your business flourish. We’re all guilty of getting off topic during a meeting or two (and that’s okay!). However, limit those conversations by creating a to-do list. Plan ahead of time what the meeting needs to accomplish. Include people who are essential to the conversation and exclude those who aren’t. As a general rule, try to hit all your talking points within a 30 minute time frame. We know projects do not always run smoothly and that won’t always be the case, but being time conscious will lead to more productivity in the long run. Check out the short video below on a ‘real life’ conference call. We’ve all been here (hah!). Most importantly (in our opinion! ), follow a process. Building a set process for your business allows for your team to have an organized strategy to tackling their projects. It declutters what needs to be done and puts a plan in place to avoid unneeded extra work. At Array, we have a process unique to our agency that guides every project phase for each client we work with. With our process, we’re able to work efficiently and have a great reference when jumping between multiple projects and clients. Little changes have a huge impact long term. 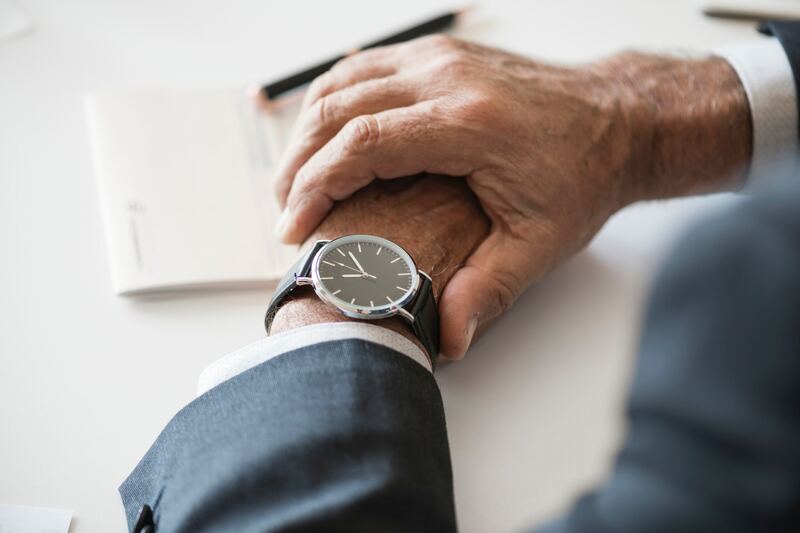 You may not see the results right away, but learning how to manage your time will build great habits that will affect your work life and be a positive influence on your career.